On May 9, 2017, the Civic Charter stakeholders’ workshop began in Kilimanjaro, Tanzania. The three-day workshop which was facilitated by Burkhard Gnärig of the International Civil Society Centre, Germany and Uyga Özesmi from Good4Trust.org in Turkey was aimed at developing a joint Civic Charter campaign to strengthen civic participation around the globe. Organized as the starting point for a long term campaign for civic participation, the workshop brought together 25 campaigners from 13 countries that deliberated on issues relating to the shrinkage of civic space while exchanging information on how it is experienced at the local level in their different countries. Participants at the workshop were introduced with particular emphasis on their work on civil rights and involvement with the Civic Charter while a brief history and glimpse ahead of the Civic Charter movement with view to further development was presented. The workshop also featured a presentation by Uyga Özesmi of Good4Trust.org on the methods of effective campaigning which focused on developing action for tangible outcomes. Participants were thereafter divided into Country/National groups to design a national campaign by using the Civic Charter; problems as well as areas where concrete change can be made were identified and a power analysis of all national stakeholders with regards to the problem identified was undertaken in view of and identifying targets and developing a campaign. During afternoon sessions, participants were involved in activities which highlighted the importance of using the Civic Charter as a basis for campaigns and making best use of the Civic Charter in civil activities. The International Civil Society Centre (ICSC) will take forward the idea of a viral global campaign in conjunction with other digital ideas for promoting the Civic Charter internationally. The Centre will bring in activists from a range of countries to provide advice on the best approaches for reaching a global community. The Centre will choose a date for a “Civic Charter Day” and communicate plans for that day to the community. A recurring message at the workshop is the need to protect and expand the civil society as an important local, national, regional and global movement to combat corruption in all the countries of the world. 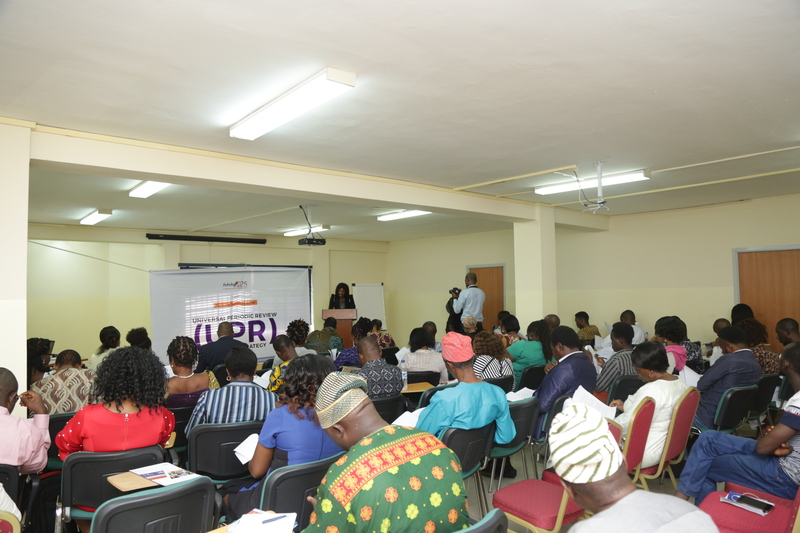 Development partners and the civil society organizations were also advised to resist the deliberate encroachment by various national governments on the civic space by the introduction of obnoxious bills which are meant to curtail CSOs freedom of expression, freedom of information, freedom of assembly & freedom of association.